I am definitely going to have to plan better for the rest of the letters. I just had a vague sense of what I was going to attempt before I headed to the grocery store. My faithful assistant was as organized as he could be given my haphazard planning. So today’s cupcake started out with a vanilla cupcake recipe to which I added about a cup of chopped apple sprinkled with cinnamon. 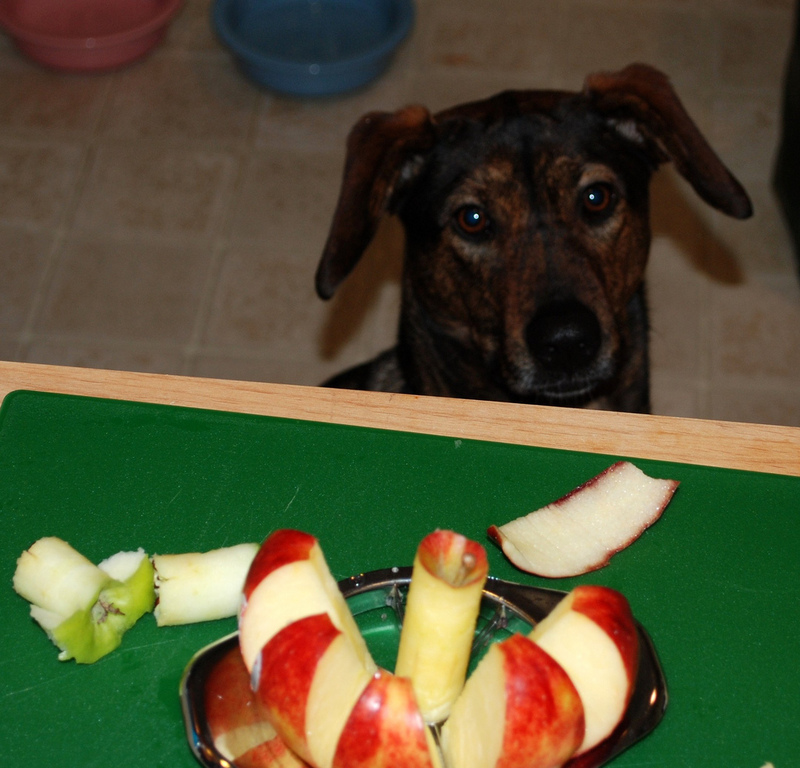 Another "helper" hoped I would drop some apple so he could help clean up. Cream together: 1 stick butter and 1 cup sugar. Add 2 eggs one at a time and 1 tsp vanilla extract. 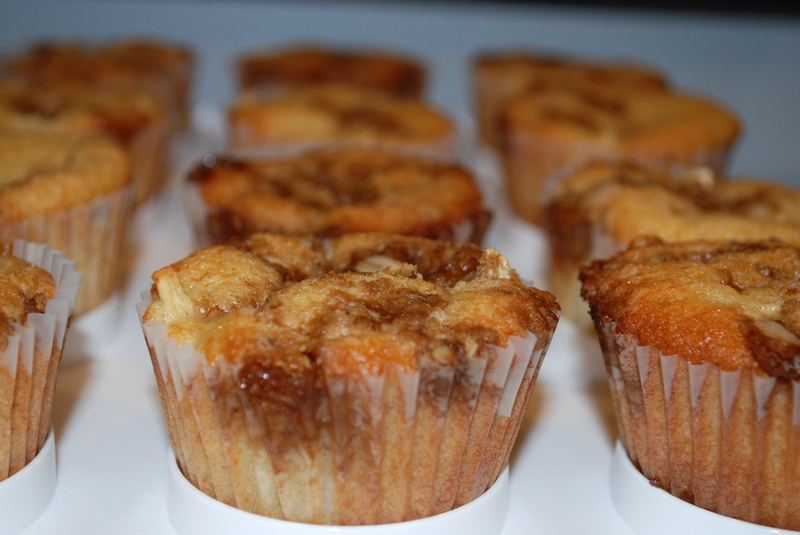 Mix together: 1 1/2 cups AP flour, 1 1/2 tsp baking powder, a couple of pinches salt. Gradually add this to wet mixture, alternating with 1/3 cup warmed milk. (Start and end with flour.) Stir in about a cup of chopped apple. 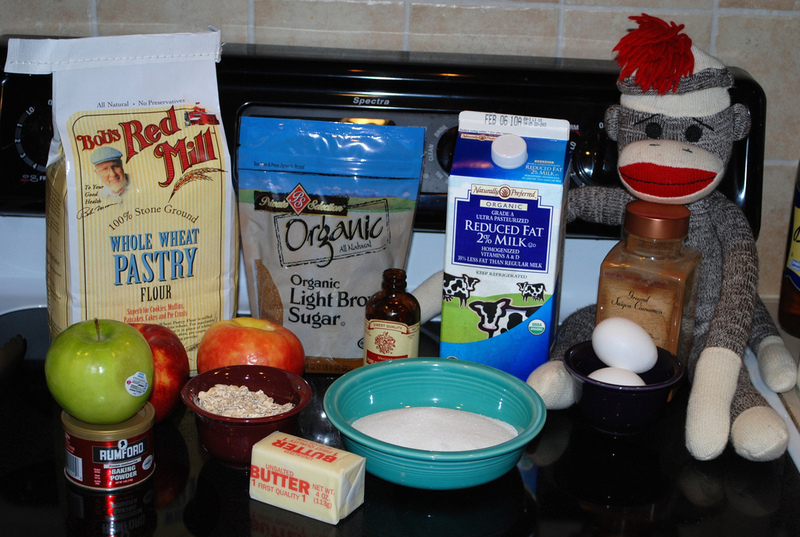 Mix together: 1/2 cup brown sugar, 1 tsp cinnamon, 2 tbsp butter, and 1/2 cup oatmeal. 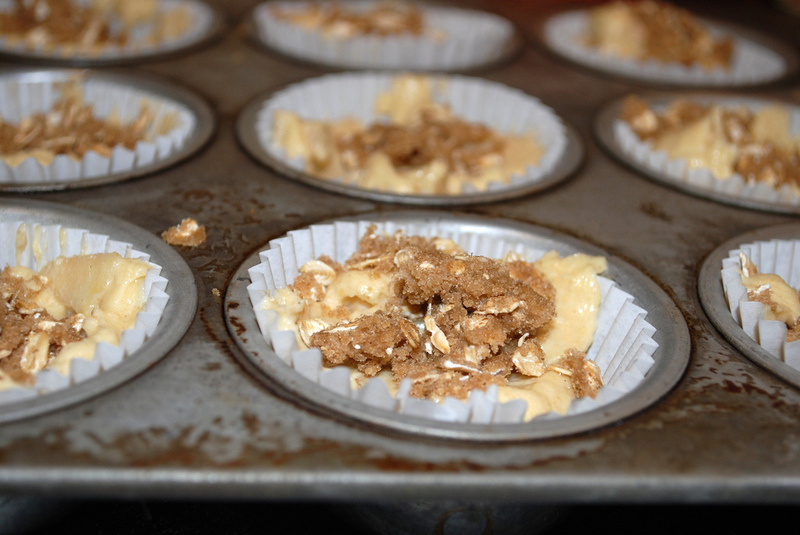 Fill cupcake pans with batter and then top with some of the oatmeal mixture. I ended up with 15 cupcakes. I had originally thought about attempting a vanilla Italian butter cream because sometimes it tastes a lot like vanilla ice cream. Perfect topping for apple crisp, yes? 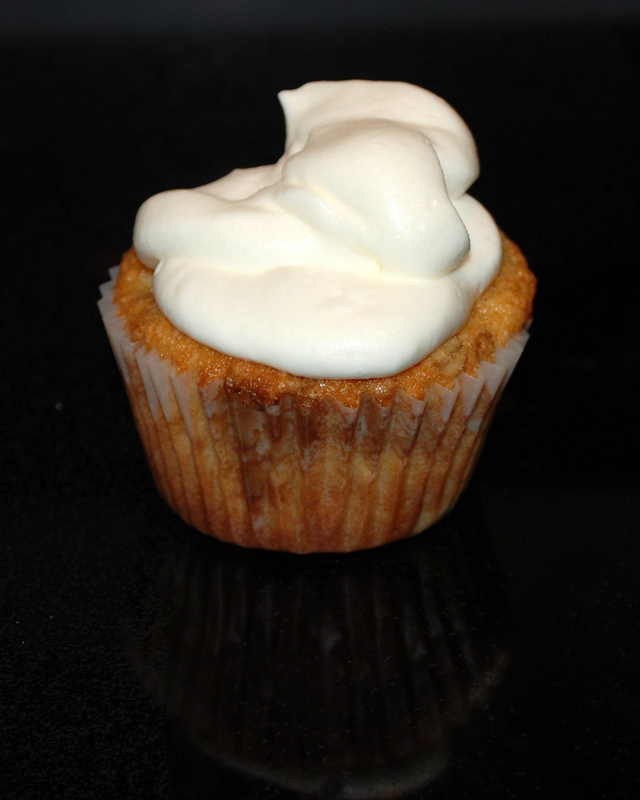 As the day grew later and baking was still unbaked, I thought I’d just switch to whipped cream. Can you believe I’ve never made whipped cream? I think I still haven’t made whipped cream. I think I might have churned butter, though…..
I’ll post the results after I get someone else’s opinion. Mr Shuck has started his New Year’s resolutions and is passing on sweets. Okay… yay, I get to comment after eating one of those babies! The apple was delish and I loved the different textures of the cupcake. 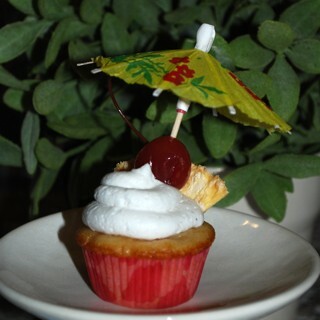 The topping was yummy, the whipped cream wasn’t sweet so it really appealed to me. I liked the apple bits and the texture differences between the apples, the cake and the crunchy bits. Only drawback was the cake part needed more spice to match the apple and the crunch but otherwise as your A/first cupcake of 2010, I give it both thumbs up. I’m glad you liked them! Good suggestion also.